Ok, if this the wrong section, please shift into the apropriate one. I am strongly considering buying a 1965 vert (yeah, I know, not 71-73). While the door tag is perfect and matches the vehicle (exept for the fact that it was born a 4 sp mn and now is an auto), the VIN on the fender looks manipulated in the first 3 digits of the serial number. The sheetmetal surface underneath is rough (could have been corroded) and it looks like somebody re-punched those three digits. They seem to be just a tad below the rest of the VIN, maybe a slightly different font and they are more clearly defined than the other letters and digits. This VIN matches the door tag, of course. 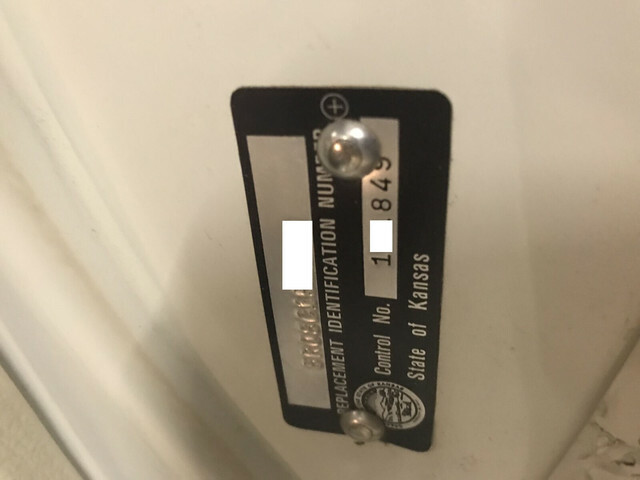 In addidition to fender VIN and door tag there is another tag stating the door tag VIN/serial number, saying "Replacement Identification number", "State of Kansas", a printed State of Kansas seal and a "control number". It does look very official, however, it is rivited to the car. I have never seen anything like this and I know that messing with the VIN is not something you want to do. Does anybody know anything about "replacing" damaged VINs like described above? If so, shouldn´t this been mentioned in the title? I haven´t seen the title yet. The vehicle is said to be registered and on the road. I really don´t know weather to persue this purchase or rather refrain from it. I do not know the rules there. In North Carolina if I buy a car from out of state the DMV sends someone to look at the VIN and all must be in order. A picture of the VIN in the inner fender would be great help and also the others. Here is a car is totaled by insurance company. The DMV has to come inspect it and they apply an official DMV sticker next to the factory VIN. The car then has a salvage title. A car that has been under water and just cleaned back up has a salvage title here. Also look under the inner fender and see if you see evidence of someone cutting out the VIN# and putting back in. Sometimes when inner fenders are changed they do that. The factory had a hand held air operated stamp holder. The stamps are all in line and straight. I have seen one car that had the VIN# stamped I think 6 times under the hood. You can get new VIN# plates from Marti but I think they are $500 each. The guy in Atlanta, lost his name in my brain, sells lots of build info and decals. He use to make them for the early Mustangs but I think FBI shut him down. Another answer for the two numbers might be a lost title thing. Here you go to court and I forget the term. You post a bond and then they issue you a new title after some searching is done. I would look and check very careful before I pay any money. There are lots of scams out there for sure. Ok, here are the pics. 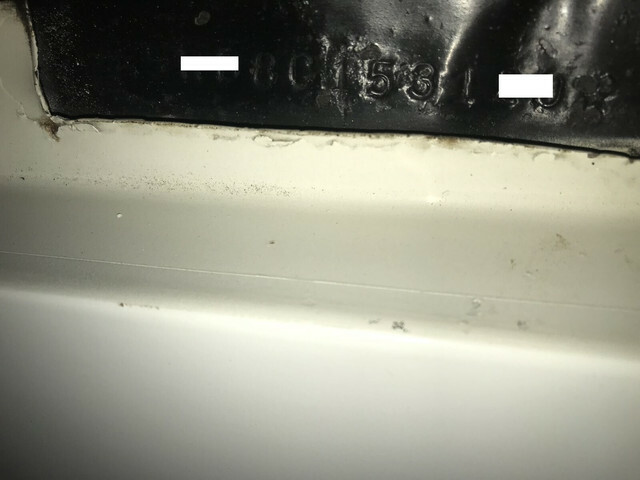 "153" is the area in question on the fender (1st pic). The Kansas tag is in the 3rd pic. What also troubles me are the wavy inner fenders between the domes and the firewall. Could this be an indication for a severe front end collision? The 153 in the 1st pic looks like it was re- stamped or something. And it sure does look like those inner fender wells were beat back out, and very poorly I might add. So it does look like it was in some kind of accident. The Ford door tag looks like a repo. At one time you could buy them from the Mustang supplier in Atlanta, name still evades me. You could get anything stamped on them you wanted. The rivets in the door tag are not correct. 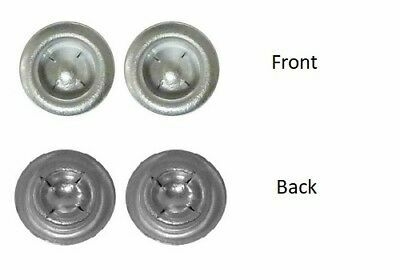 Ford used and odd rivet not just a pop rivet. On the 71 - 73 they use the rivet that look like a flower not just round. I did a little looking and you can buy new door tags with whatever you want on them. You send them what you want and they make you a new one. I think your tag is a repo. Since you might be new to the early Mustang the air cleaner snorkel on the car is not correct. The vert had an angle cut on the end of the snorkel to clear the extra round brace rod going to the inner fender. I would say that your inner fenders got replaced and someone tried to fix the VIN#. Can't get a Marti farther back than 1967 so no good way to verify anything. That car could possible be a 6 cylinder converted over to V-8 pretty much doubles the value. 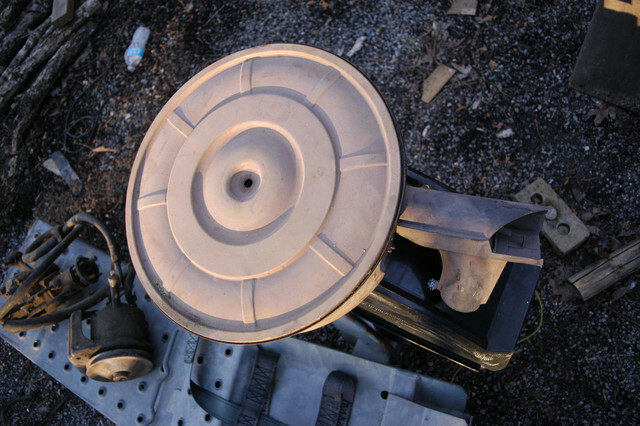 There are a few items welded under the floor pan that are only on V-8 and some just for GT V-8. Been too long I cannot remember what to look for. Do some searching and I am sure someone has it posted. Could be a crashed 6 cylinder counterfeit. Easy to do. There is a Shelby here that was authenticated by Shelby American and it is a total fake. Was a coupe originally converted to a fastback and the VIN# welded into the inner fender. Guy paid big money for it also. Always someone out there to take your money. The GM guys fight this all the time you can make one of them about anything you want since GM will not give up the documentation that is rumored to be stored in a salt mine, lol. Thx guys, your right about the rivets, I remember this from my 73. In terms of swapping in a V8: possible, but I doubt it. It has the 289 on the outside of the fender and all VINs that I saw until today say C-code. Then again, SHOULD the VIN on the fender be re-stamped and SHOULD the tag be a repro, then all is possible. The 289 logo of course is the easiest thing to apply, if somebody wanted to. I have asked for a copy of the title. Any more thoughts on the additional Kansas tag, anybody? (02-11-2019, 09:52 AM)colonel Wrote: Thx guys, your right about the rivets, I remember this from my 73. In terms of swapping in a V8: possible, but I doubt it. It has the 289 on the outside of the fender and all VINs that I saw until today say C-code. Then again, SHOULD the VIN on the fender be re-stamped and SHOULD the tag be a repro, then all is possible. The 289 logo of course is the easiest thing to apply, if somebody wanted to. I would contact them directly and ask why it was issued. In North Carolina that would say that the car had been totaled in an insurance case and would be a Salvage Title. I have a camper I bought that had been damaged in car crash. One small hole in side. I replaced the outside plastic sheeting and DMV came and inspected and put a new sticker on next to the original and I have a salvage title. 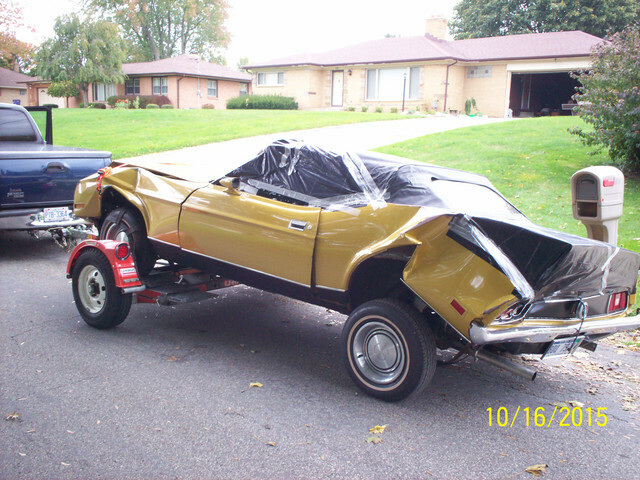 I do not know how they pulled it off but the car in the picture I bought and parted out had a clean no salvage title. Crooked people all over. If I were a criminal I could take the drivers door, dash pad, cut the VIN# stamping out of the inner fenders, go steal another 72 vert and make it mine and nobody could tell the difference. Done all the time I am sure. They sell just titles at swap meets all the time. Forget about this car and walk away. Aside from the VIN discussions , look at your underhood shots. There is a significant dent in the front of the passengers Shock tower. That is not an easy dent to make on a Mustang. Also, those long round bars going from the firewall to the front aprons is incorrect and REALLY SCARY!! I think they are hiding a lot and bet you it drives like crap! (02-11-2019, 11:13 PM)kcmash Wrote: Forget about this car and walk away. The dent is factory and is visible in any number of images from a "65 mustang engine compartment" Google image search. The braces are factory equipment on 65-66 convertibles. That said, I think this car was in an accident and needs to be investigated further before even considering any cash changing hands. The beat up aprons are a dead giveaway to some sort of front end impact. I put alot into replies (as it looks like many here do too) ! I looked at the Original Post, your profile the substituent replies and concur with KC MASH ! It is a Nancy Reagan car .......................JUST SAY NO ! TOO MANY issues , between the fact that maybe a conversion, one that the builder felt needed to TRY and pass off as real , NOW with a state issued VIN (Read - HARD to remove from records) to the fact that it has been hit AND NOT repaired correctly ! My Guess is you like many, saw the value in the buy, see no value in money in a bank at .49% and "got a pass to get another car!" Seeing that you WERE A CORVETTE guy.......I'm surprised you are looking for a performance car! 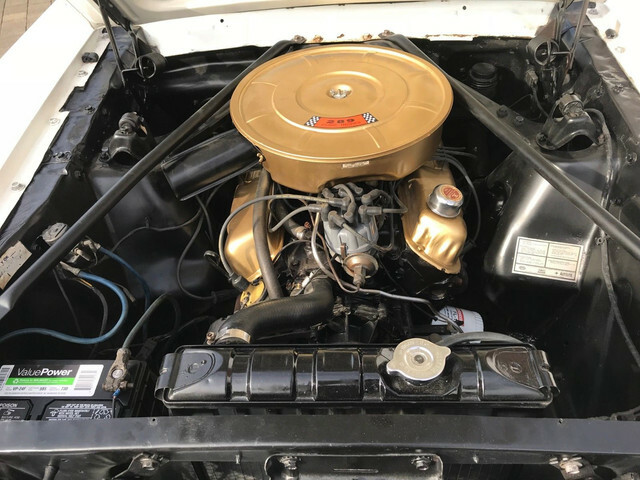 It looks like you have done good work on your 73 ! I would think you would be a good buyer for a Boss or even a project YOU want ! P.S. My first thought on a reply was going to be "where do I send the money" ...to KEEP YOU FROM BUYING THIS CAR ! !